The Village of Schoharie and its Local Waterfront Revitalization Planning Advisory Committee will be holding a meeting to present the Recreational Assets Plan for the Village on Wednesday, June 15 at 7pm at the Christ the Shephard Lutheran Church, 289 Main Street in Schoharie. Since planning began in 2015, many residents and businesses have shared what they want for recreational activities and facilities in the village. 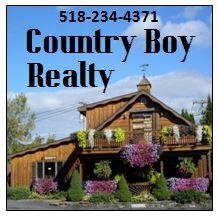 These have been incorporated into Schoharie's Village-Wide Recreation Plan that recommends seven priority projects to help revitalize Schoharie through increased tourism, improving the local economy, and enhancing quality of life and health for residents. 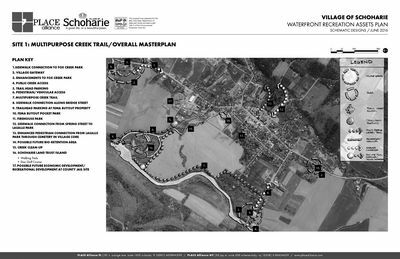 The plan includes concept designs for enhancing Fox Creek Park, creating a multi-purpose trail along the Schoharie Creek, building canoe and kayak access points to the Creek, extending sidewalks to be sure these locations are all linked to Main Street, a disc-golf course, using the FEMA Buyout parcels appropriately, and building a community park at the former firehouse on Grand Street. The Plan was prepared with funding provided by the New York State Department of State under Title 11 of the Environmental Protection Fund. Please plan on attending this meeting to learn more about this recreational plan and how the village will implement it to promote economic development and revitalization. 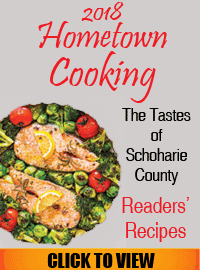 The draft plan, maps, and concept site designs can be found on the village website at www.schoharievillage.org.